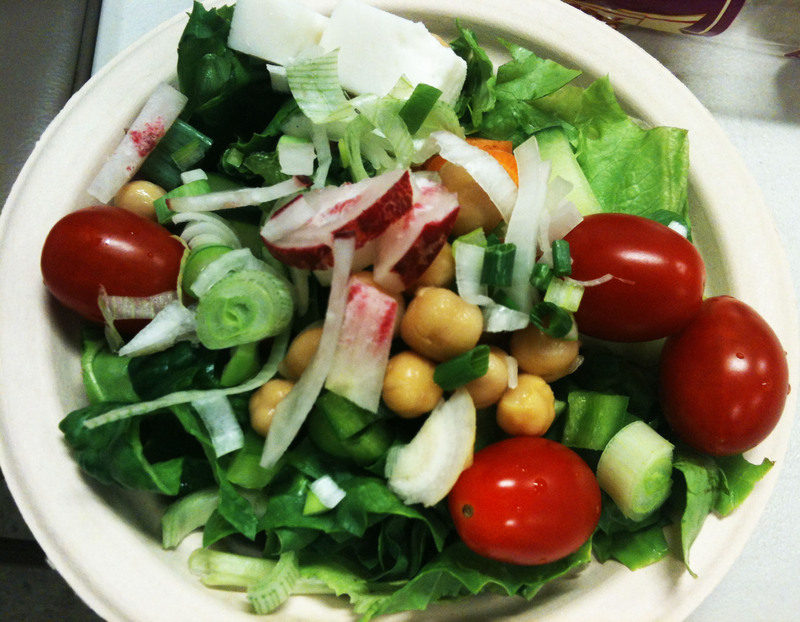 If you haven’t read yesterday’s post, today is Office Salad Day! 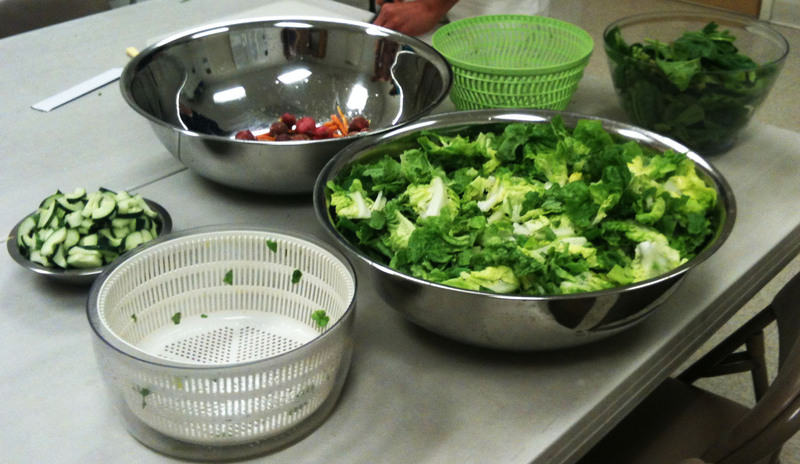 We have harvested vegetables from the office garden and created a salad bar for Shiloh Farms and Garden Spot Distributing employees. 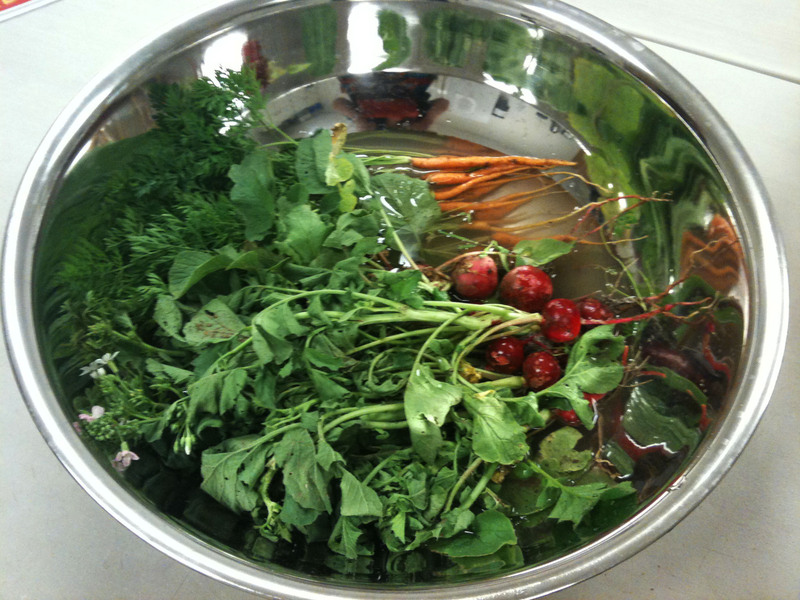 For the salad bar we had several organic items from our garden as well as items purchased from a local grocery store. 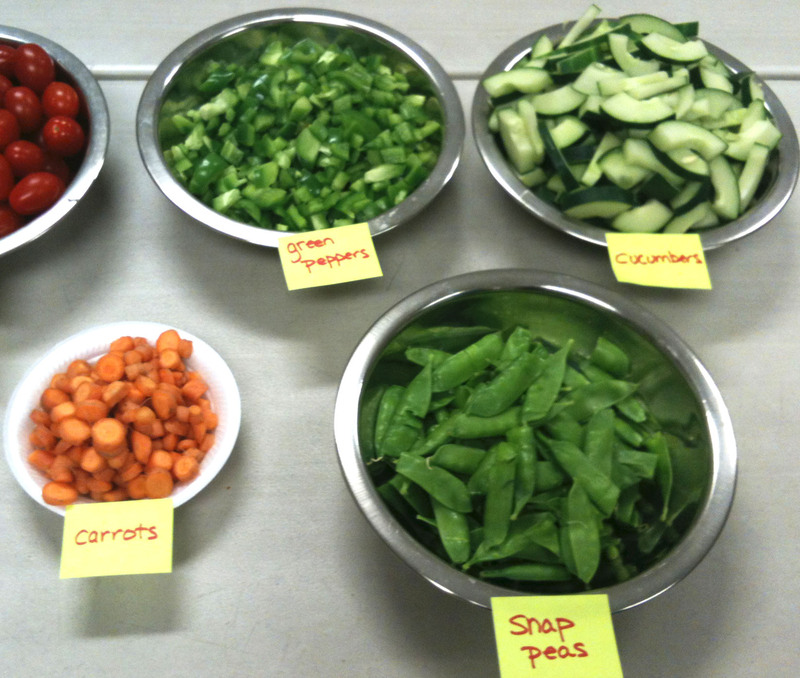 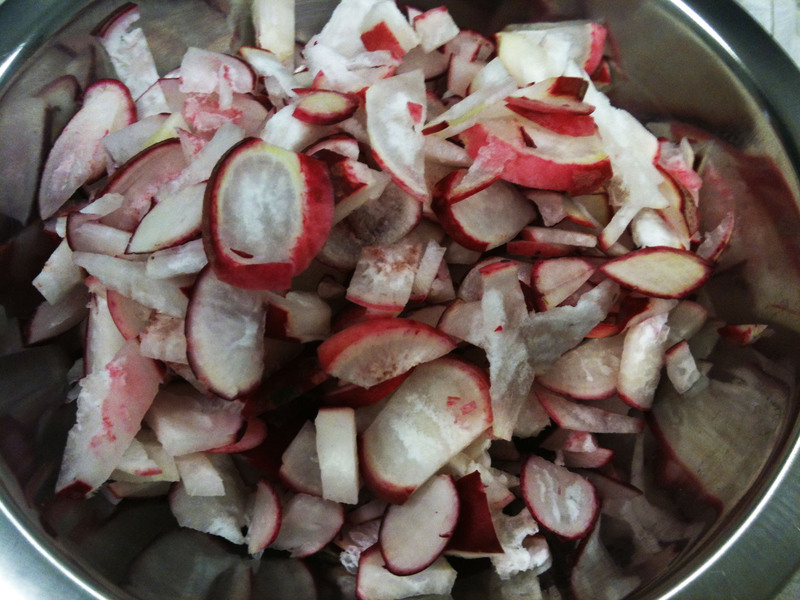 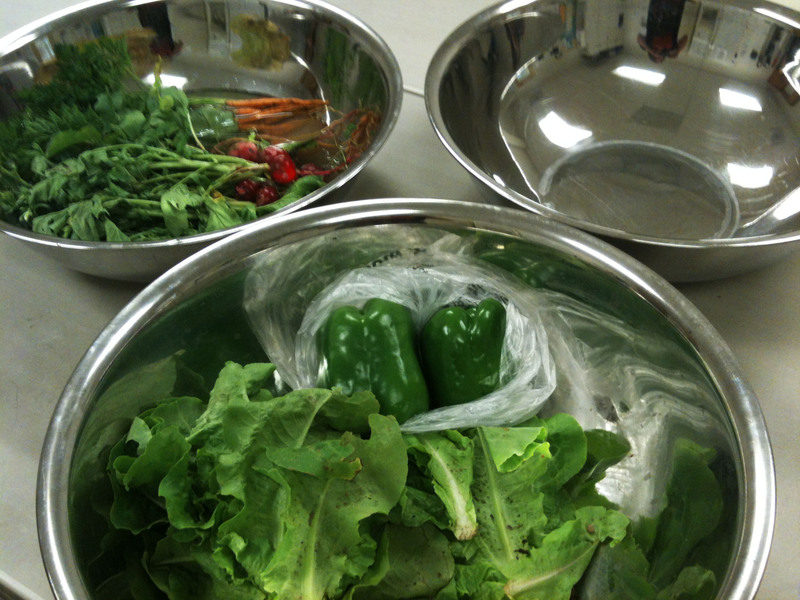 Our fresh garden items included: lettuce, spinach, chives and white onions, carrots, snap peas, and radishes. 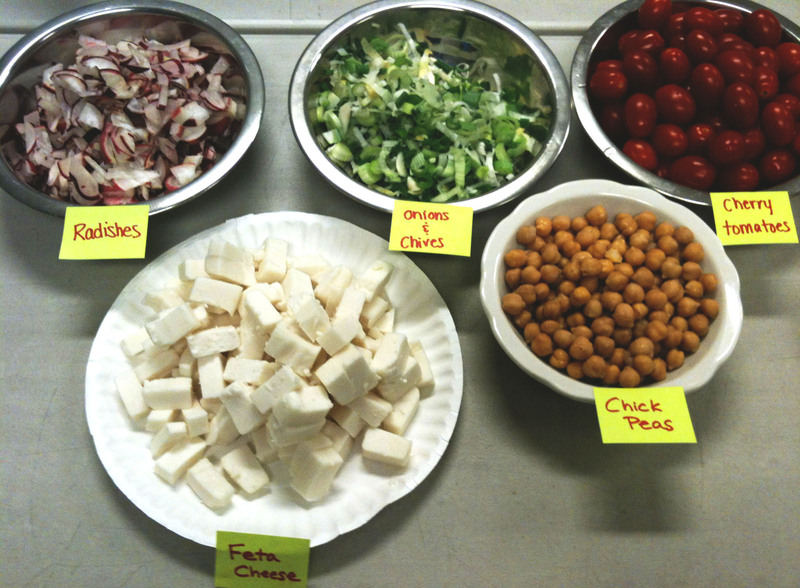 To enhance our salad we purchased items like: green peppers, cherry tomatoes, garbanzo beans, and Shiloh Farms Feta Goat Cheese. 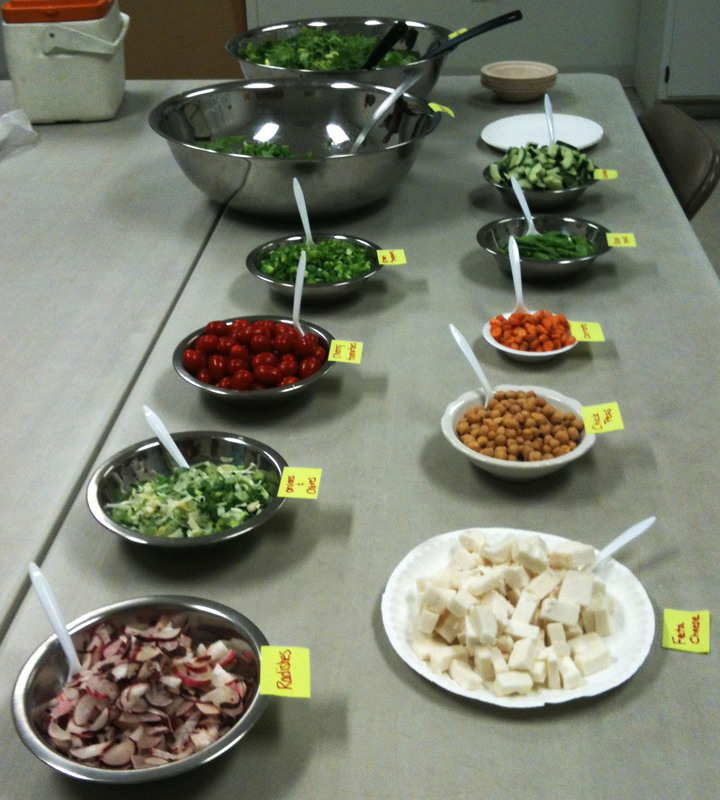 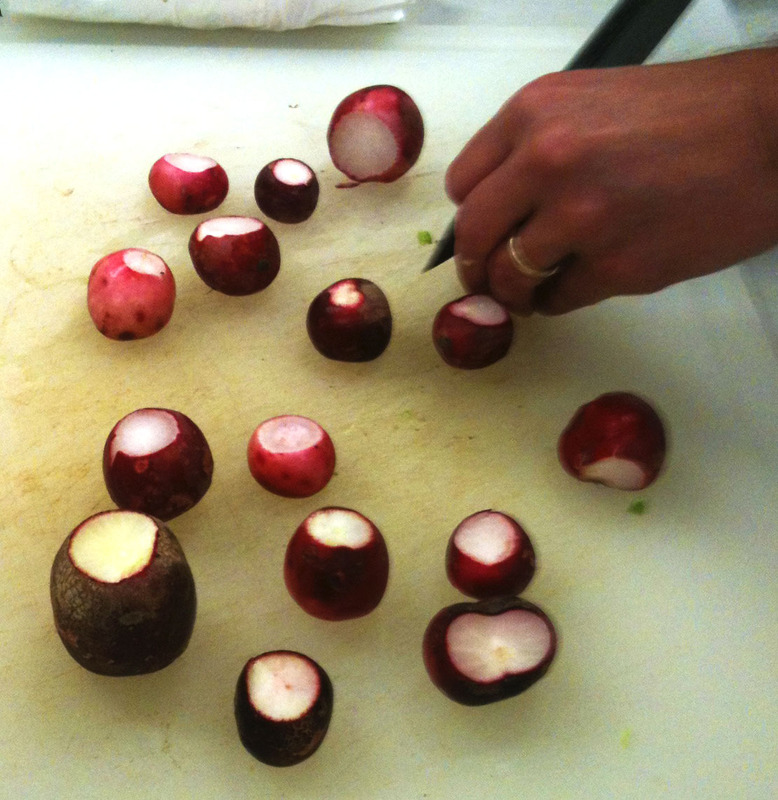 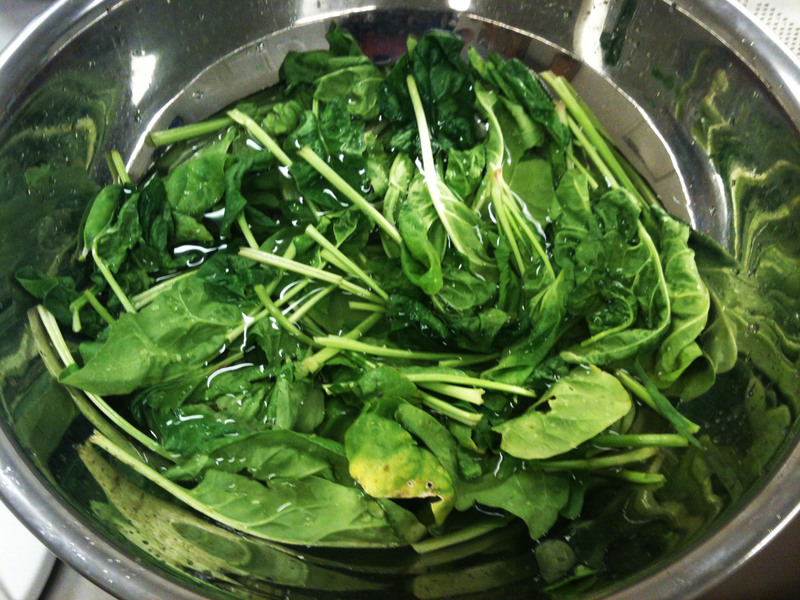 Below are some photos of the food preparation process and the finished product! 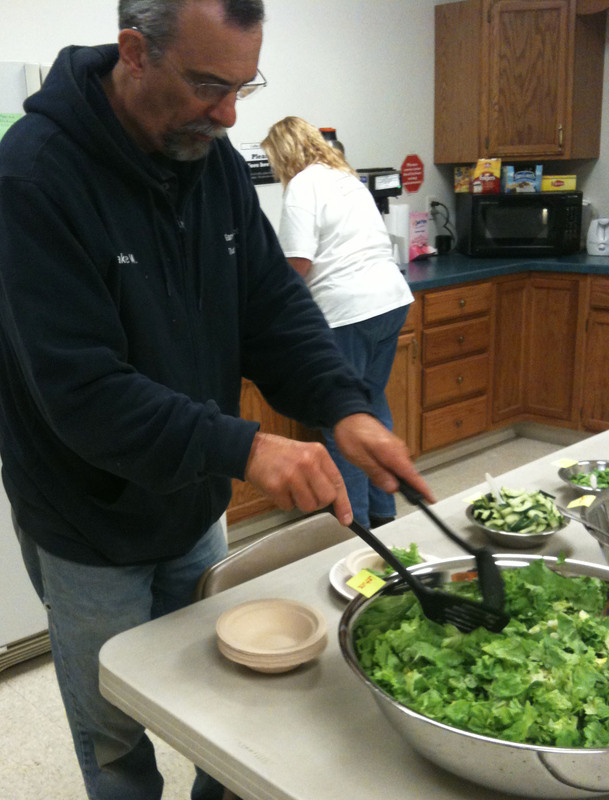 Tell us what you think about our office garden and salad day. 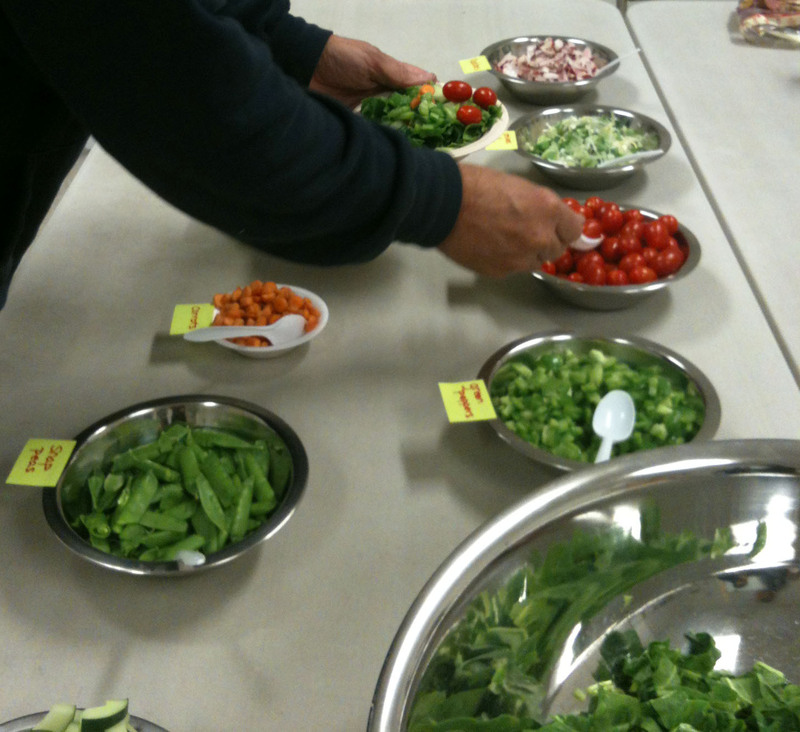 Do you have any suggestions for our next staff gardening social? 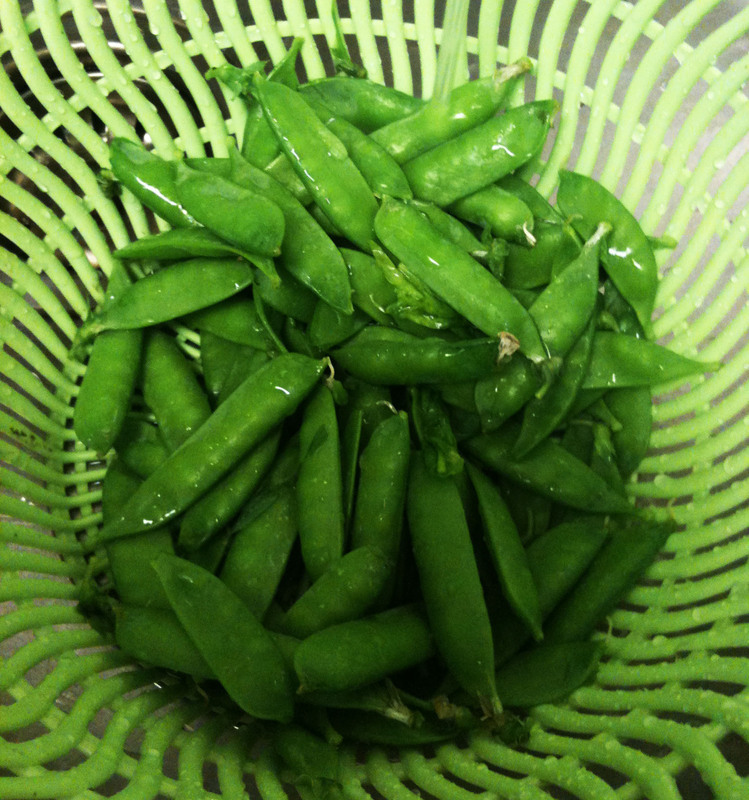 Share your gardening experiences with us!